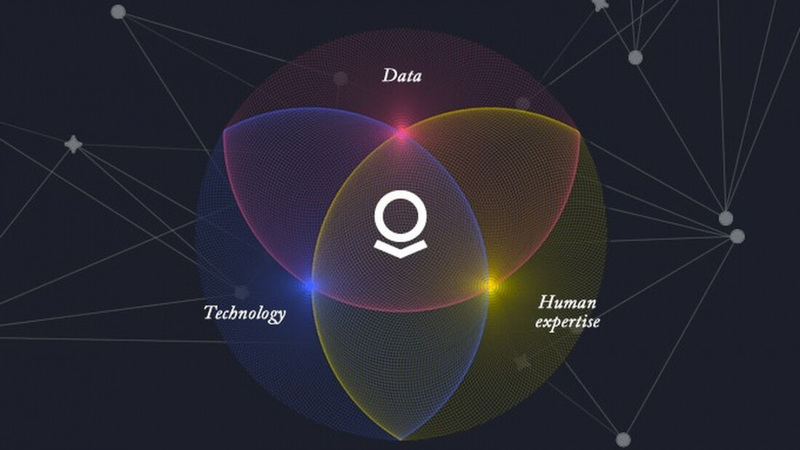 Palantir Technologies, the secretive CIA-funded data-mining company, is being sued by the US Department of Labor for allegedly discriminating against Asian people in its hiring process and selection procedures, according to a government press release yesterday. According to the suit, the Office of Federal Contract Compliance Programs (OFCCP) review found that, from 2010 until present, Palantir’s hiring practices have seen it repeatedly turn down Asian applicants in favor of white applicants for software engineering roles. In one example, Palantir hired 14 non-Asians and 11 Asian candidates from a pool of 1160 qualified people, 85 percent of whom were Asian. The lawsuit says the possibility this happened by chance is one in 3.4 million. The OFCCP said it contacted Palantir before the filing to try and resolve the issues, but the company declined to comply, leading to the Department of Labor launching the lawsuit. Along with Joe Lonsdale, Palantir was co-founded by venture capitalist Peter Thiel, who serves as its chairman. It provides software and data analysis to a number of government branches, including the Army, FBI, Department of Defense, the Securities and Exchange Commission, the Department of Justice, and the US Special Operations Command. Responding to the lawsuit, a Palantir spokesperson said: "We are disappointed that the Department of Labor chose to proceed with an administrative action and firmly deny the allegations. Despite repeated efforts to highlight the results of our hiring practices, the Department of Labor relies on a narrow and flawed statistical analysis relating to three job descriptions from 2010 to 2011. We intend to vigorously defend against these allegations." The lawsuit seeks relief for persons affected, including lost wages. Palantir also risks the OFCCP requesting that its government contracts be canceled, and barring it from receiving any more future federal work. 1. This is, what, the millionth "muh skin!" news story this year? At least it's a different group filing the claim this time, I suppose. 2. You mean to tell me that a CIA-funded data-mining company hasn't been hiring Asians at the exact same time China, one of the most powerful Asian nations, is flexing its muscles? Color me shocked. psycros, Raoul Duke, Lionvibez and 1 other person like this. From someone who has significant exposure to the defense contractor line of work, how in the hell is this news? As davislane1 suggested, it's national security, and the Chinese of all countries are a legitimate issue moving forward. Someone who isn't a candidate for S or TS clearance down the line in a place like Palantir isn't worth hiring. A S-clearance alone is several thousand dollars with a ten year renewal, and TS is several more thousand, with a five year renewal. Wasting money and data integrity to have your freaking minority count is beyond retarded. If your background doesn't check out, see ya. One of the biggest frustrations in that line of work is being ran by politicians who see big dollar signs on a contract, that isn't in line with their beliefs, and watching them try to stonewall your $10m+ contract. Raoul Duke, Reehahs, mosu and 1 other person like this. So did they meet all 1160 people to determine that they are "Qualified"? I'm not siding one way or another. All I am stating is that there is lacking a whole lot information. All I see is a law suit based on statistics. Maybe those 25 that were hired are more qualified than the others. The world may never know... Well at least us readers at Techspot won't. Raoul Duke, OneSpeed and mosu like this. Welcome to the stupid PC world we live in today. They are already doing it to the children, Little johnny is terrible at football but we have to let him on the team because it isn't fair. He got terrible marks this year in school but let move him up a grade anyways. Everyone is a winner kids there are no losers here. There can only be 1 winner and somebody has to lose! National Security > filling your minority quota. And for the record I am a minority but understand logic and common sense! Therefore you, sir, are a Nazi. psycros, Lionvibez and Hexic like this. davislane1 and psycros like this. So they hired 14 non-Asians and 11 Asians - sounds fair to me. If we assume the 14 non-Asians break down to a good mix of American, African, Hispanic, whatever and that there was overall a fair proportion of female hirees, then perhaps the only complaint is that they hired too many Asians! Here's some political food for thought on this lawsuit. If you recall, the IRS targeted Tea Party groups for reasons many people know were politically motivated. Palantir was cofounded by Peter Thiel, a Trump supporter. They are now being sued and threatened with ruin by the federal government for "discrimination" that didn't happen.